If you missed #44 click here. 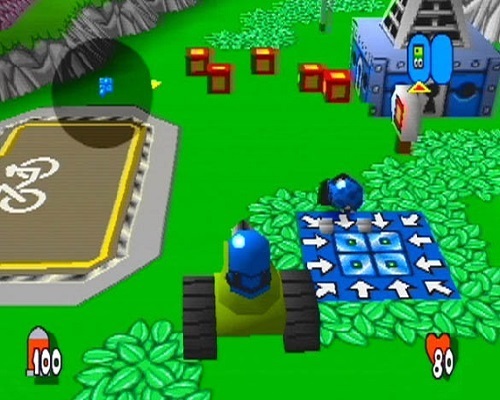 Best Moment: Just building the weapons with the blocks and taking down your opponents with your weapons! The year 2000 gave us two underground cult hit strategy games, the other one was Hogs of War, as detailed about in #45 in my list. This one was slightly better in my opinion. 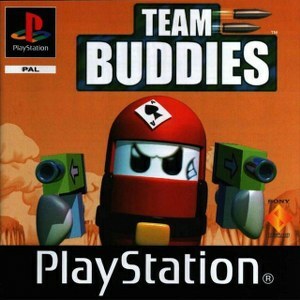 Team Buddies is basically you against up to three other teams, and your team of buddies have to work together to build weapons and forts as quickly as possible before the other teams, and you have to destroy their forts and defeat them in the process. Teamwork is key in this strategy game, and it's lots of fun. It gets very competitive and there's a decent amount of comedy in there too. It's a hard game to describe, but it's definitely worth your time if you gave it a go. Unfortunately, it's another one of those games I wish I played more of but never did. Ah well! Looking for #42? Go click here!